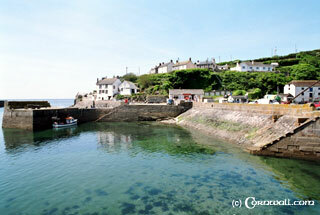 Porthleven is a fishing village near Helston that developed its port to facilitate Harveys of Hayle who used it for exporting their mining machinery during the industrial period. The port faces the predominantly South Westerly Winds and so the harbour walls are on a larger scale than other ports in the area. Once there were more than 100 boats operating from the harbour. 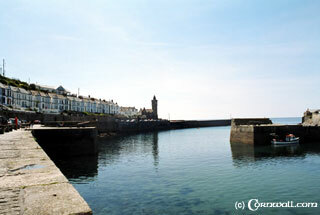 Although the fishing is no longer on that scale, Porthleven is an attractive village that is an ideal location to explore the Lizard Peninsula. 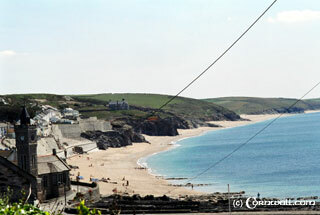 Outside of the harbour is also a good sandy beach with lovely cliff views and walks. Nearby is Loe Bar (not to be mixed up with Looe) which is a big barrier of sand that has formed at the mouth of the Cober Estuary due to the winds and currents. This has been the scene of many wrecks over the years and is also not a safe place to swim.